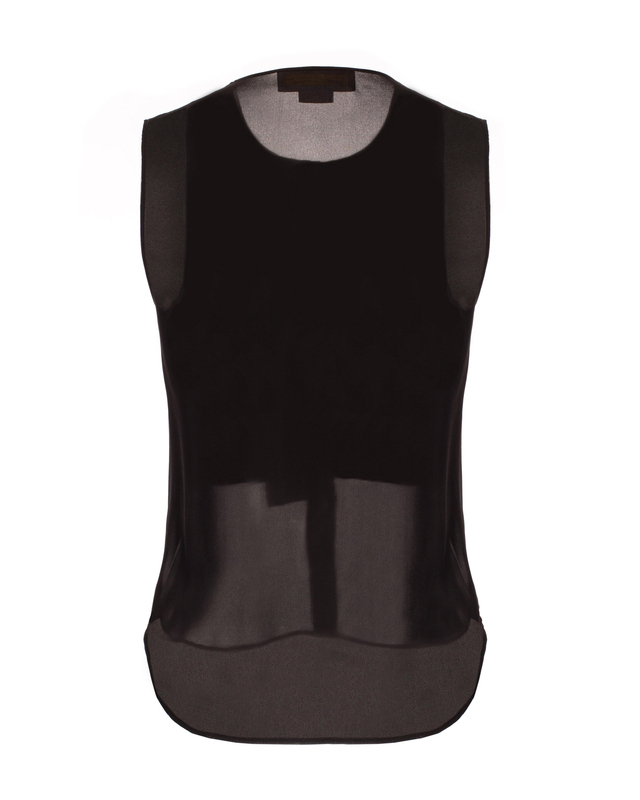 From its simple and clean style, the sleeveless top is a garment that brings a touch of elegance to your outfit. Gathering at the decolleté emphasize the garment's femininity and class in luxuriously soft silk chiffon. 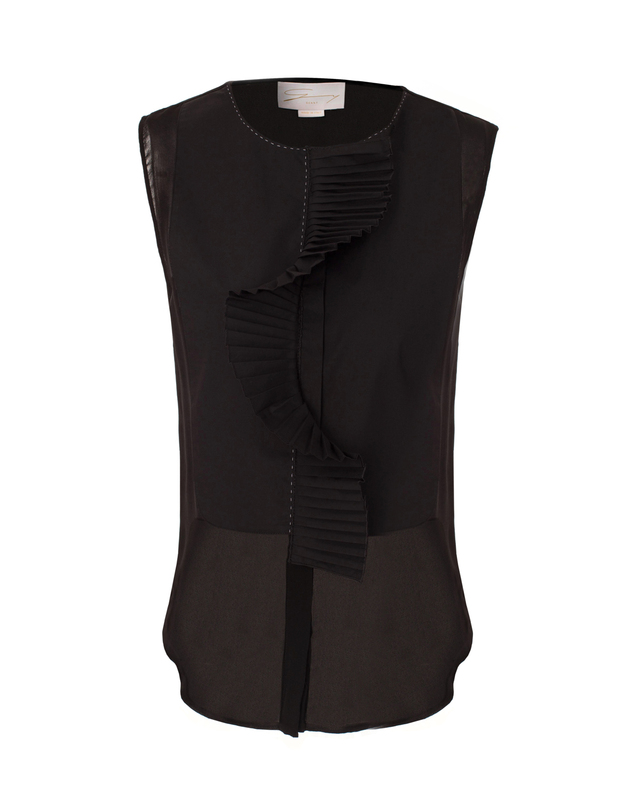 The black tone of the top makes for a refined style with either slim pants or a pencil skirt.